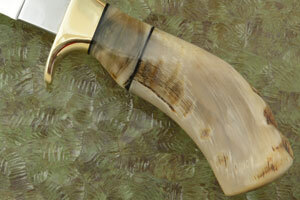 Description: Journeyman Smith Bill Burke has become well known for making knives that are as high performance as hunters can get. Each knife is pre-tested for edge flex and cutting ability before assembly. The heat treatment follows the formulas developed by Bill and Ed Fowler, Bill's teacher, and has been proven to create some of the sharpest and most long lasting edges found anywhere. 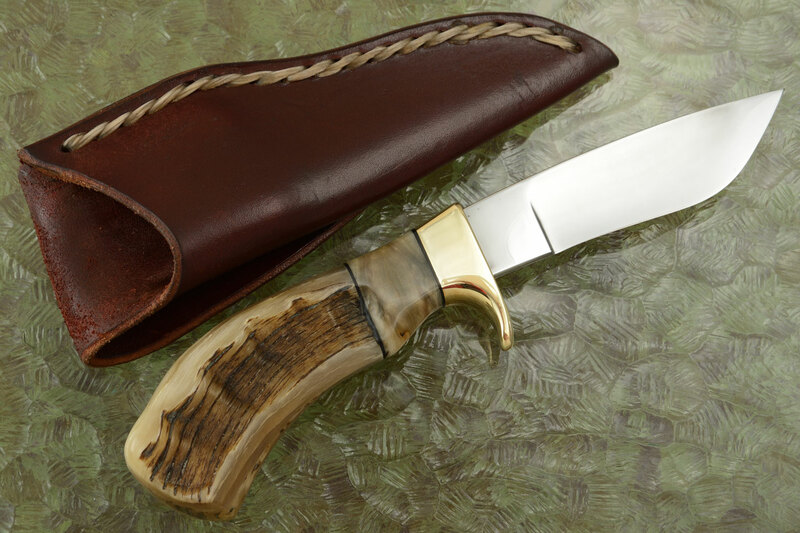 This exceptional Pronghorn hunter was created with a left-handed user in mind. 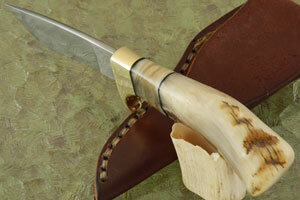 For right handed knives, the handle swells into the palm on the right side of the knife, with the sheephorn forming a natural concave finger rest. 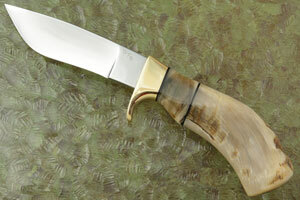 This left handed knife was created for a perfect feel when held by a left-hander.